ESET – a global player in information security – was the only Challenger named in the Magic Quadrant*. 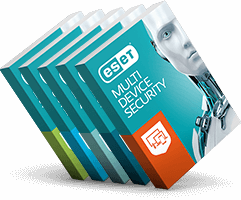 ESET was evaluated based on its ability to execute and completeness of vision. ESET believes this placement reflects its consistently improved competence to offer maximum protection for enterprises. *Source: Gartner, “Magic Quadrant for Endpoint Protection Platforms,” Ian McShane, Avivah Litan, Eric Ouellet, Prateek Bhajanka, 24 January 2018. ESET has been recognized as a "Leader" in The Forrester Wave™: Endpoint Security Suites Q2 2018 report. The prestigious report assessed 15 of the most significant security vendors, including their ability to prevent, detect and remediate endpoint threats. The report states that: "Overall, ESET is best for enterprises looking for a full suite that requires low expertise for operation." ESET ranks 6th largest worldwide endpoint security vendor according to Endpoint security software market shares 2017 report. ESET’s market share in the CEE region accounts for 37.5 percent, outpacing all of its competition. The awards are a ranking of vendors by verified end-user professionals – which includes IT professionals or business users who have had experience purchasing, implementing or using the enterprise solution they are reviewing. The awards take into account both the number of end-user reviews, and the overall user ratings. 116 enterprise-grade users awarded ESET Endpoint Security a score of 4.7 out of 5 across all criteria, praising the solution for integration and deployment, ease of deployment, service and support, timeliness of vendor response, and quality of technical support. Gartner Peer Insights Customer Choice Awards are determined by the subjective opinions of individual end-user customers based on their own experiences, the number of published reviews on Gartner Peer Insights and overall ratings for a given vendor in the market, as further described here and are not intended in any way to represent the views of Gartner or its affiliates. The Gartner Peer Insights Customer Choice Logo is a trademark and service mark of Gartner, Inc., and/or its affiliates, and is used herein with permission. All rights reserved. ESET has been placed among Overall Leaders in KuppingerCole Leadership Compass Enterprise Endpoint Security: Anti-Malware Solutions Report 2018. ESET was evaluated based on the completeness and quality of the product/service features (Product Leadership), its ability to innovate its roadmap in response to evolving threats and enterprise customer requests (Innovation Leadership), as well as ESET’s ecosystem and geographic distribution of customers (Market Leadership). ESET placement in top of the spectrum in each of these three categories acknowledges ESET’s experience in delivering innovative anti-malware capabilities to customers and capturing a significant customer base. © 2018 Kuppinger Cole Ltd. All rights reserved.